Tucked away from the street, Carpenter’s Hall was the site of the meeting of the First Continental Congress. This was held as a response to Britain’s passing of what was called the “Intolerable Acts.” They were passed as a way to punish the colony of Massachusetts after the Boston Tea Party, taking away its right of self-governance. Among the attendees of the First Continental Congress were Samuel Adams, John Jay, and future president John Adams. The Congress ultimately decided to stop importing British goods and petitioned King George III to reconsider the act. This was one of the most important events leading to the American Revolution. Nowadays, it serves as a small exhibition space about construction in colonial Philadelphia. At the entrance, there is a small room filled with construction equipment that would have been used at the time. At the center of the main room is a model of Carpenter’s Hall under construction. 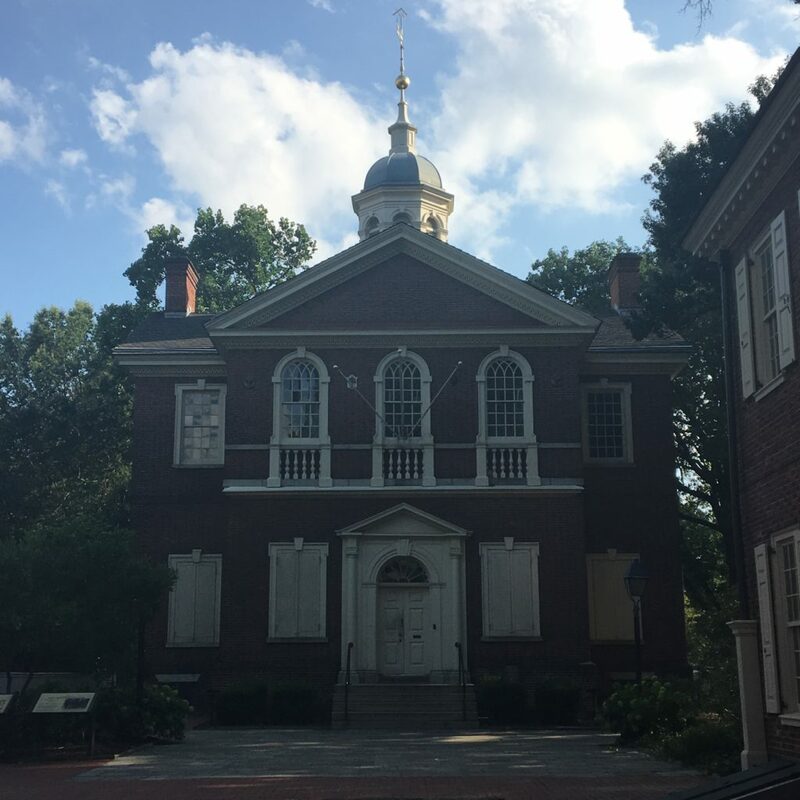 There are exhibits on the sides about various topics, including the architecture of colonial buildings such as Independence Hall, Christ Church, and the City Tavern. There is also a section on the First Continental Congress. The building itself is one of Philadelphia’s best examples of Georgian architecture.